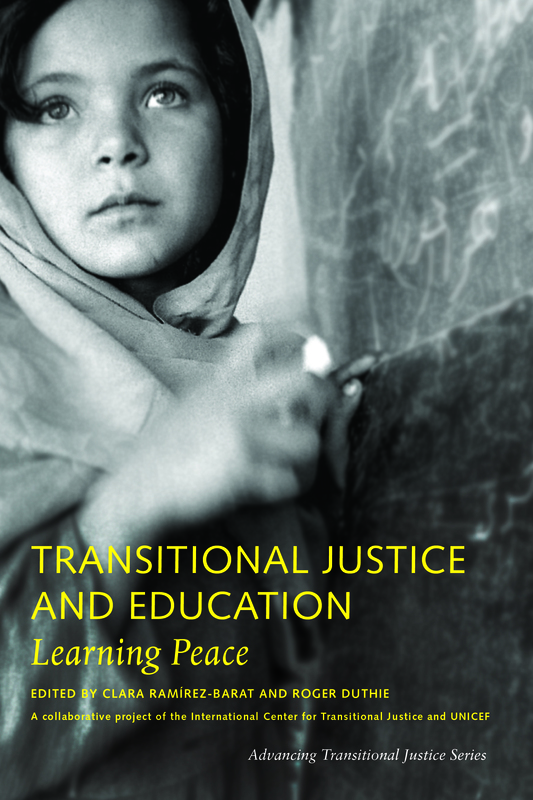 The recent publication of the edited volume Transitional Justice and Education: Learning Peace (New York: SSRC, 2016). Together with the report that was published in November 2015 on Education and Transitional Justice: Opportunities and Challenges for Peacebuilding, this book is the final product of a joint ICTJ-UNICEF research carried from 2013-2015. Periods of conflict and authoritarianism often lead to education institutions in need of reform or rebuilding. However, in settings where education has been used to support repressive policies and human rights violations, or where conflict and abuses have resulted in lost educational opportunities, legacies of injustice may pose significant challenges to effective reform. Peacebuilding and development perspectives, which normally drive the reconstruction agenda, pay little attention to the violent past. Transitional Justice and Education: Learning Peace presents the findings of a collaborative research project of the International Center for Transitional Justice and UNICEF on the relationship between transitional justice and education in peacebuilding contexts. The book examines how transitional justice can shape the reform of education systems by ensuring programs are sensitive to the legacies of the past, how it can facilitate the reintegration of children and youth into society, and how education can engage younger generations in the work of transitional justice. One of the editors of this book, Clara Ramírez-Barat, is participating in the EUROCLIO-project Dealing With the Past in History Education.